Why all educated women are not empowered? It’s very natural and obvious that my favorite topic of reading these days is Women Empowerment. In lieu of this, I got to read something very inspiring last week and it was from an idol Kiran Bedi. Although after contesting Delhi’s election and losing it, I don’t find people admiring her much. However, I am a big fan of her. With her flawless work and powerful verdicts; she is able to prove herself as a true leader to follow. She is India’s first lady IPS officer and is currently working as LG of Puducherry. While attending the India Today Conclave South, Kiran Bedi spoke on why all educated women aren't empowered. She has a different take on making women empowered in today’s society. She said, "Women are taught to be secure, whereas men are told to be courageous. Women aren't given the resources, finances, education or mobility to be confident enough to protect themselves”. I completely second her thoughts. We have seen an improvement in society’s behavior towards educating a girl child. But education alone can’t save them from staring eyes and attacking mob. We have seen that with education, girls are achieving milestones of life and career. They are now able to see this world from a different perspective. However, people back home are not willing to change a wee bit. Like, Kiran Bedi, I also studied in a girl’s college. Mostly girls were sound and good in studies but today where they are, simply show the preference of their families because they are GIRLS. A few of my childhood friends simply got married after completing their post graduation. A subset of friends didn’t get permission to go out for studies. I am also from the same society where people think girls are by default weak and vulnerable. However, my parents took a bold step and sent me to pursue higher studies at a place which is 600 kms away from my hometown. Thanks to them, I am an independent woman today. But the irony is although I am working yet I don’t feel empowered enough to fight molester walking on the streets. Like mine, many other parents are allowing their daughters to go to a far city for higher studies, still, girls living in PGs and hostels don’t feel safe after dark because they know that their education can’t help fighting someone trying to harass them. The working women still try to reach home before it’s too late because they are aware of insecurities outside and little strength they have. Addressing the same problem, Kiran Bedi is trying to make people realize the importance of courage and confidence. That can only happen when our girls feel safe and secure in going out and stretching their work hours. She said that education should also act as a medium to help people dispel fear and march towards progress. So, physical fitness and self-defense should actually be a part of our education system so that no girl could skip it. There should be absolutely no chance of avoiding it. 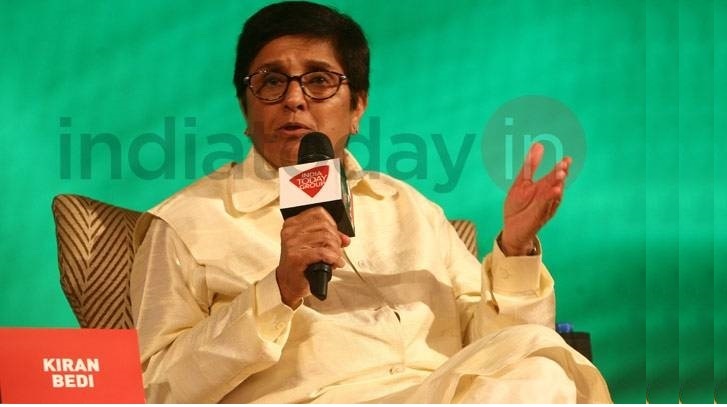 In the same event, lady Kiran Bedi added, “I am waiting for the time when women are able to make use of their education in a way that makes them audacious and courageous enough to voice their opinions and chase their dreams fearlessly.” When she stated, "It's a nature vs nurture argument. It's not in the nature of women to feel empowered--a sense of empowerment can only be taught to them”, I find it so true. We parents need to make our daughters dominant and fearless. It might need sending them to judo/ karate classes. But you see it’s needed. We don’t want our daughters to face molestation just because they are defenseless. Education system will change, who knows when? A pertinent question. You have put it in right perspective. Thank you sir. I think it's high time to give focus on being empowered along with being educated.